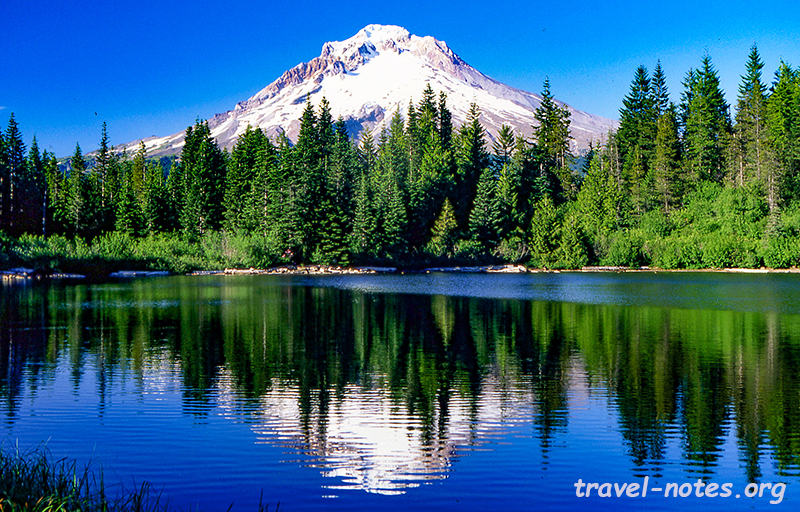 Oregon was the next destination to fall in our travelling radar. As the coast was meticulously explored during the PCH trip a few winters ago, we kept ourselves away from it on this trip. The rest of the state - save the Hells Canyon region - was covered in a little over four hectic days during July of 2005. As usual our trip started off with a long and painful multi-stop flight trip, this time to the city of Medford in central Oregon. We reached there just in time to drive 70 odd miles to the Crater Lake National Park and reserve a campsite for the night. The following day Praveen, who had left us at the foothills of the Tetons exactly a year ago, joined us after an equally exhausting plane journey. After a quick drive back to Medford to pick him up, our trip finally kicked off in the afternoon. Crater Lake is covered under snow for most part of the year and even now in July, most of its high altitude trails were closed due to snow. We had no choice but to join the majority who end up visiting only the viewpoints in the park. On a clear sunny afternoon, like the one we were blessed with, the stunningly blue waters of the lake can be quite mesmerising. The crater was formed after a volcano - Mount Mazama to give it a name - erupted violently some 2,500 years before the first human civilisation were taking its roots in the old world. The lake, which by the by is the deepest in the country, was formed from the rain and snow melts filtered through the different layers of volcanic soil. As what has become a norm in the recent trips, we spent the remaining three days driving the various scenic drives recommended by the National Geographic Scenic Byways book. 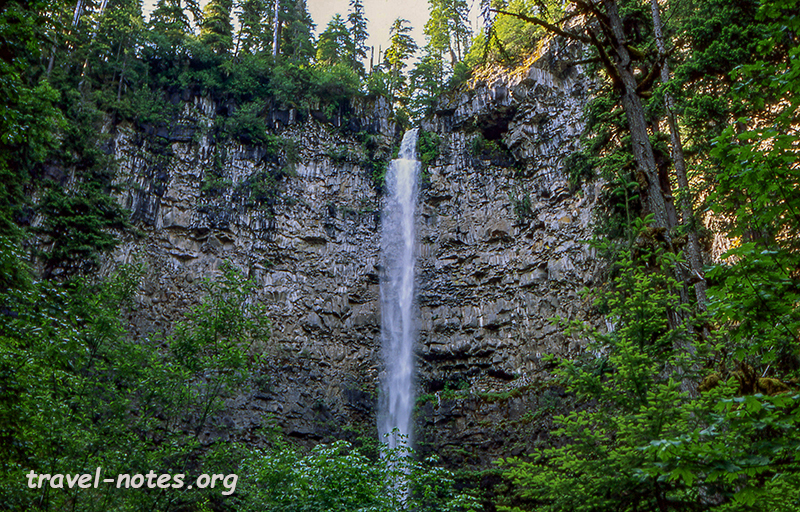 We started off with the relatively well known Rogue-Umpqua Scenic Byway named for the two wild rivers in the region. In order to save our time for other drives, we resisted the temptation to join the hoards of tourists white water rafting down these rivers. Instead, we concentrated on checking out the ubiquitous falls and lakes in the region. The must sees of these are the 272 ft tall Watson Falls, 120 ft tall Toketee Falls and the Diamond Lake with the impressive Mount Bailey as its backdrop. The second drive was the slow and tortuous Aufderheide scenic byway which does not have any particular sight that catches your memory. The third and the final for the day was the impressive Mckenzie and Santiam Pass Scenic Byway. This route forms a loop around 7,794 ft tall Mount Washington and has some stunning views of the snow capped volcanoes of the region. The most impressive of the views is the 360 degree eye popping scene from the Dee Wright Observatory on the Mckenzie Pass (5,324 ft). After spending the night at a cheap motel in Eugene, we started off the following morning driving along the Cascade Lakes Scenic Byway. As the name suggests, the route is dotted with a series of picture perfect lakes each having a volcano as the backdrop. Todd Lake and Elk Lake somehow manage to edge pass the rest on my list. Our final drive was the Mount Hood and Columbia River Gorge scenic byways. These two routes form a loop around the Oregon's tallest mountain, Mount Hood (11,235 ft). The spectacular scenery combined with the proximity to Portland make the loop the worst kept secret of Oregon. On a cool sunny afternoon similar to one we were cursed with, one has to spend more time at any trailhead than walking the many pretty trails in the region. If you are lucky, you should never miss the chance to walk the deliberately poorly marked Mirror Lake trail. 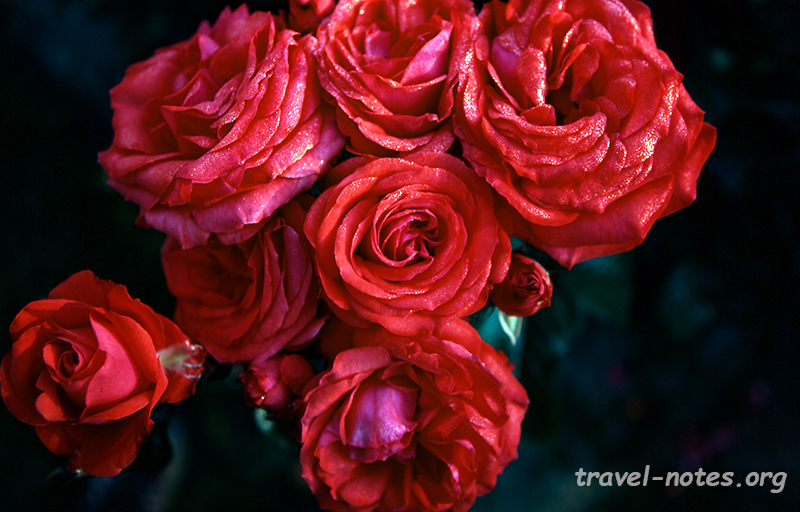 On the final morning we had just enough time to visit couple of Portland's biggest attractions - the Washington Park Rose Gardens and the Waterfront Park bordering the Columbia river - before grudgingly making our way back to a forgettable return journey. 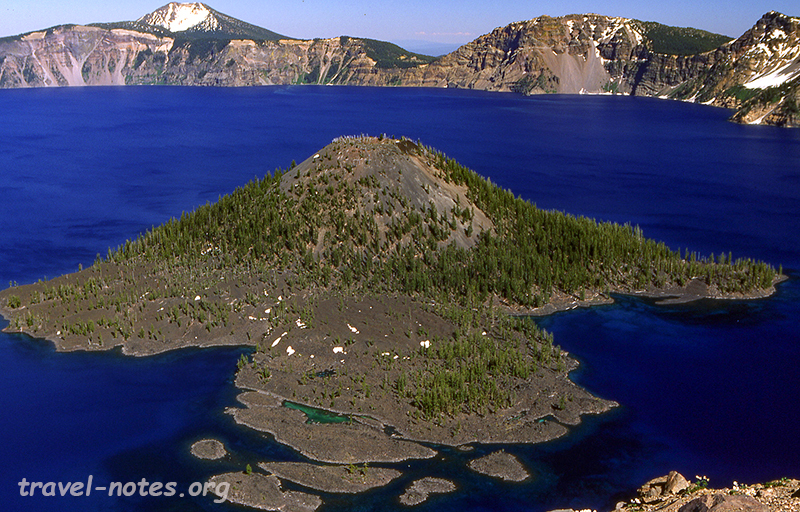 Click here for more photos from Crater Lake National Park. 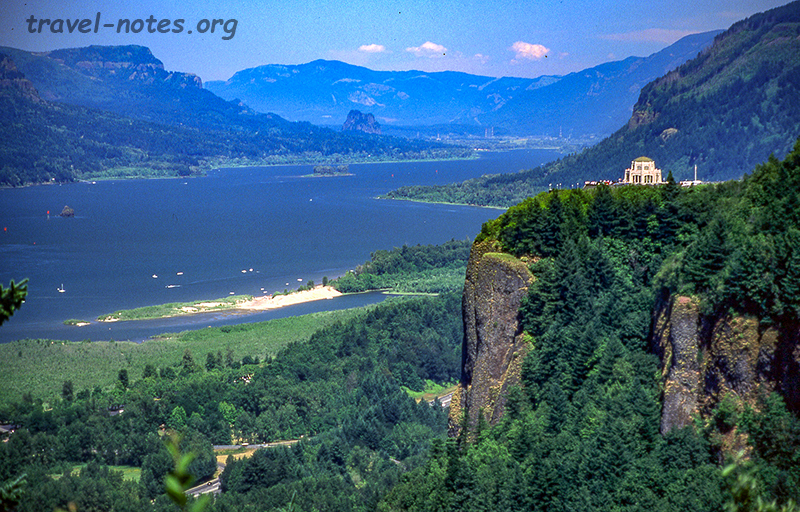 Click here for more photos from Oregon scenic byways. Click here for more photos from Portland.